I just had to but this at my local Goodwill last week. 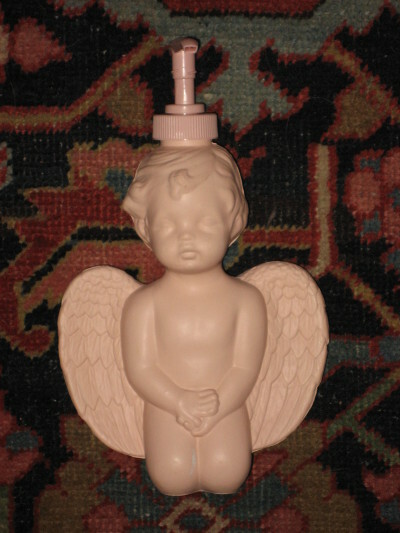 I mean, what maker and lover of Mexican folk art could resist a kitchy, plastic angel soap dispenser for $2? I wonder…is it as cool as a plastic Jesus? ~ by Dawn Elliott on September 30, 2013.